Faith Hernandez (left) and Kylie Coelho both contributed to the seventh-inning rally that delivered Turlock’s 3-1 victory Thursday, March 4, 2019, over Pitman. 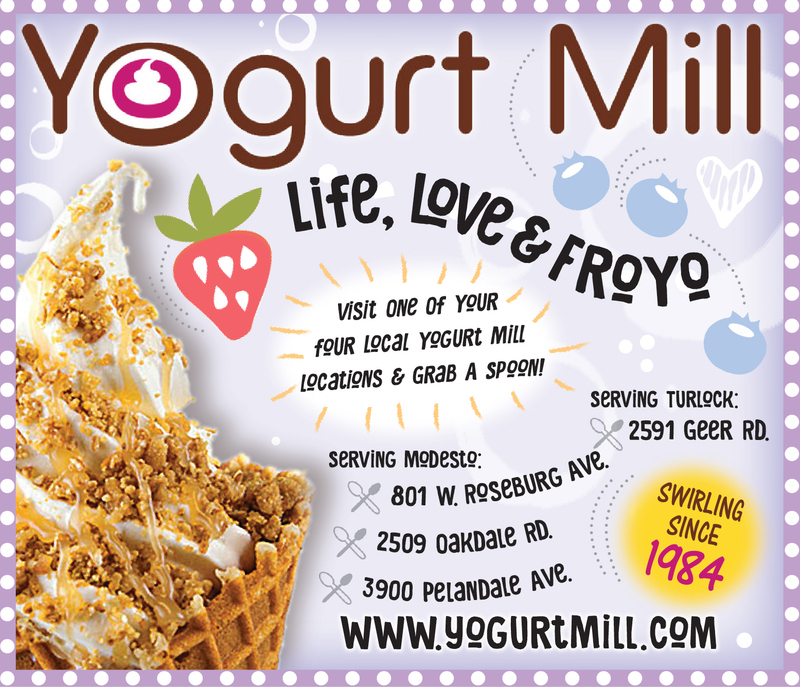 TURLOCK – It’s games like these, a softball soap opera against her archrival, that Shelby Frutoz will remember the most. Frutoz, Turlock High’s four-year varsity star, will pitch next season for Long Beach State. 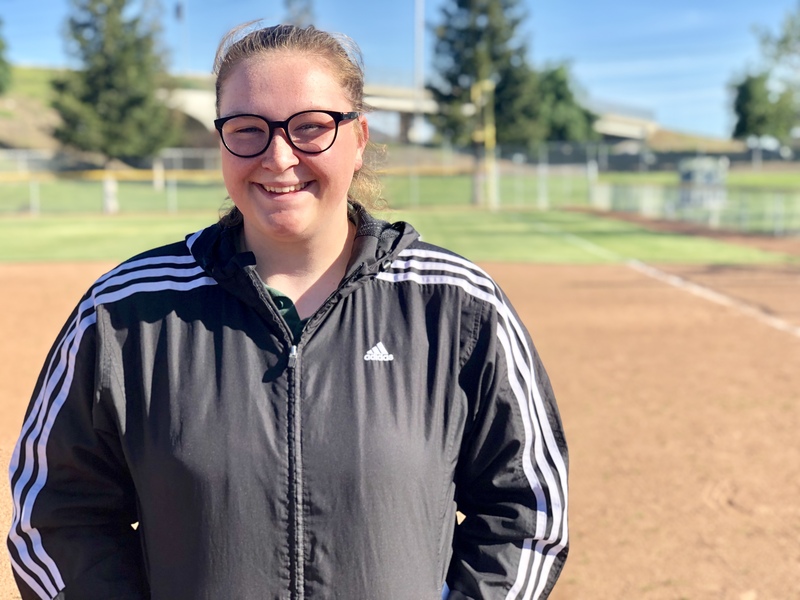 She’ll surely take sweet memories with her, and the Bulldogs’ taut 3-1 Central California Athletic League victory over crosstown protagonist Pitman may top the list. 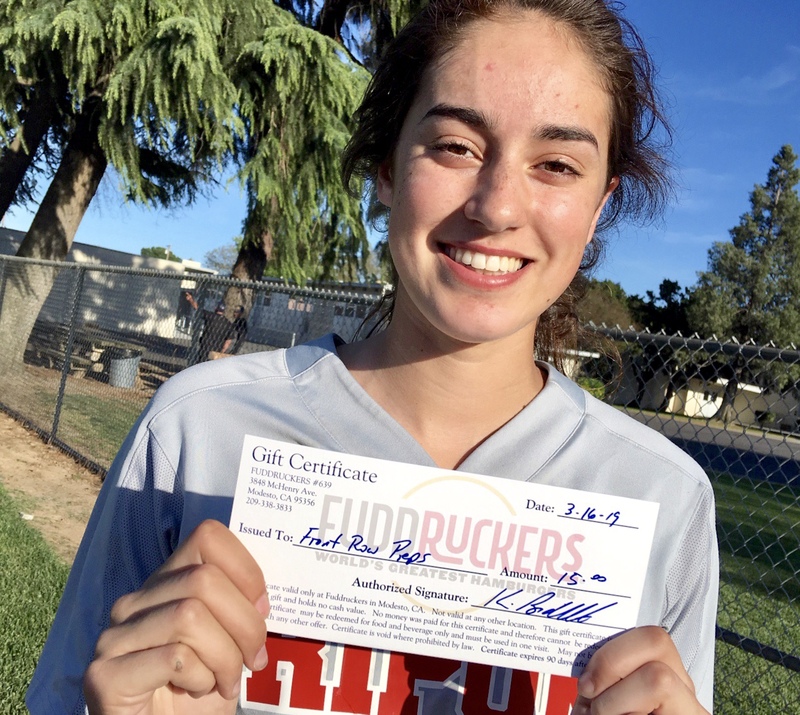 Turlock senior Shelby Frutoz was named the Fuddruckers Player of the Game after delivering a 3-1 victory over crosstown rival Pitman. Frutoz homered and struck out eight in a complete-game win. Frutoz contributed a bunch — seven hard-working innings in the circle and, at the plate, three hits highlighted by a solo home run to center. But Turlock (9-4, 5-2) needed more, and the Bulldogs got it in the seventh to break a 1-1 tie. Maryn Thompson singled and advanced on Kylie Coelho’s sacrifice. Then with two out, Faith Hernandez sliced the first pitch down the left field line for the run-scoring triple. Faith Erb added an important insurance run with a single. Hernandez, a junior, transferred after she spent her freshman year at Oakdale. Hence her nickname, "Oakdale." De Leon, a sophomore, struck out six and matched Frutoz (eight strikeouts) through six innings. 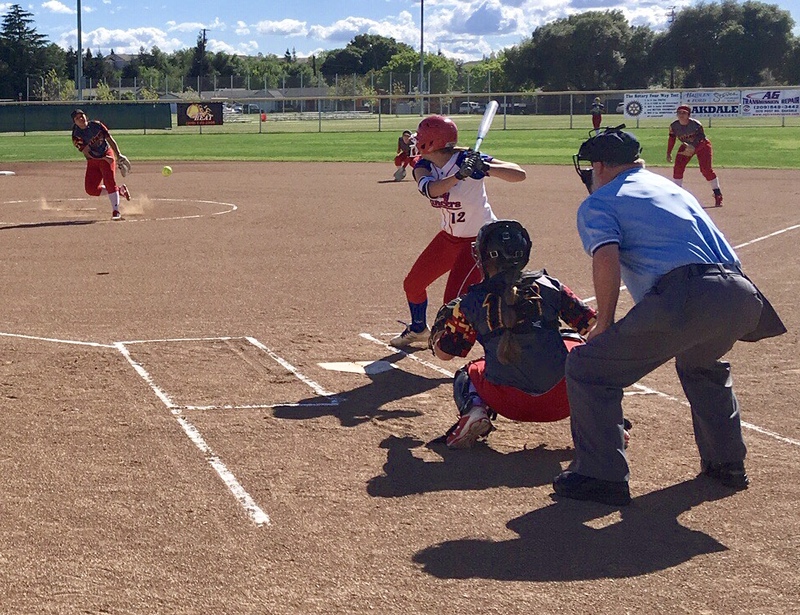 The game featured a little bit of everything – out-of-batters-box outs, double plays and the usual Pitman-Turlock intensity. Pitman (5-8, 3-4) proved far more stubborn than its 6-1 loss to Turlock on March 19. In fact, it appeared the Pride had taken a 2-1 lead in the sixth. But the go-ahead run, seemingly plated after Coelho’s diving catch in shallow left, was erased after the base runner at third was ruled to not have tagged up. Coelho, a 4-foot-10 junior, stands a full foot shorter than Frutoz. Her impact this day, however, was huge. Pitman responded to Turlock’s rally by sending the winning run to the plate, but Coelho raced into foul ground to snag Gracie Alves’ drive for the final out. Shelby Frutoz and Mackenzie Campbell. 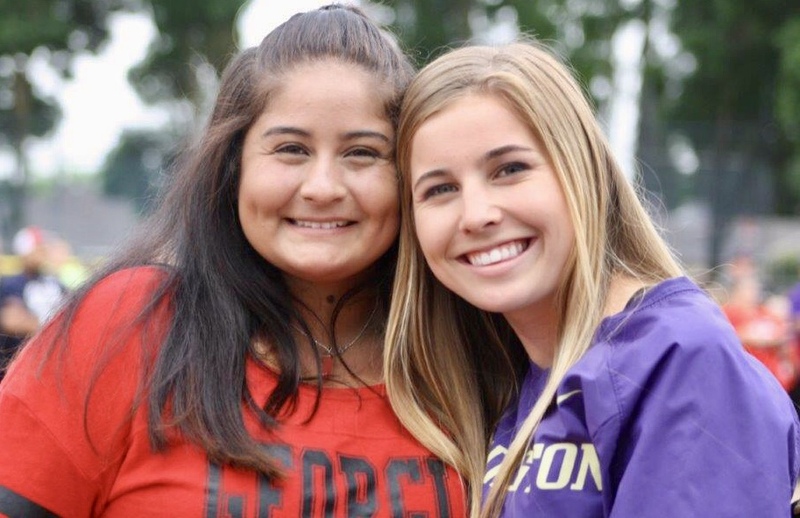 Gabby DeLeon and Maddy Insell. Turlock – Frutoz 3-4 with HR; Faith Hernandez RBI 3b; Faith Erb RBI 1b. Pitman – Megan Johnson 2-3; Kayleen Zayehmoureh 2b. Records – Turlock 9-4, 5-2 CCAL; Pitman 5-8, 3-4 CCAL.